We wrote about the Equifax Hack, Data Breach and Leak last month, which happened due to a flaw in Apache Struts that for some reason hadn’t been patched. Now it seems the CEO Rick Smith is basically placing the blame on a single employee that failed to pass a message on to the right people, rather than taking responsibility for an organisational failure. It’s also interesting there was a scheduled security scan not long after the flaw was disclosed and it wasn’t detected. Recently-and-forcibly-retired Equifax CEO Rick Smith has laid the blame for his credit-check biz’s IT security breach on a single member of the company’s security team. In testimony on Tuesday before a US House subcommittee on consumer protection, Smith explained that Equifax has a protocol whereby news of important software patches is communicated to the appropriate people within a certain time. When details of security vulnerability CVE-2017-5638 landed in March 2017, bearing bad news about Apache Struts, that protocol broke down at Equifax due to human error, meaning no one was told to apply patches for the flaw. And, astonishingly, this is all one person’s fault rather than an obvious failure for the business as a whole, according to Smith. This Equifax hack was so avoidable, do they not use some kind of issue tracking or ticketing system, did someone not just need to create a Jira ticket and someone else checks that they created it, how can such a huge multi-million dollar corporation with such critical user data not have simple, industry standard check and balance procedures. It’s sad, and it’s messed up and honestly, it’s also depressingly unsurprising. 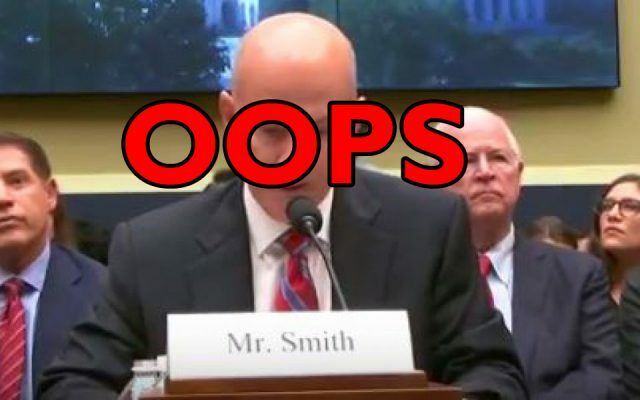 Smith spent more than two-and-a-half hours testifying and, after apologising and taking responsibility for the hack, spent much of that time defending Equifax’s decision to withhold news of the hack for many days after discovering it. Smith repeatedly justified the delay on grounds of avoiding further attacks and ensuring consumer protection measures could be in place. Committee members were not kind to Smith, who did not flinch in the face of stern criticism of Equifax’s security practices and response. I hope the committee comes down like a tonne of bricks on all of those negligently involved in this travesty that has affected the majority of American citizens. I’m also curious to see if the details are exposed of why the subsequent scan did not detect the vulnerability that caused the Equifax hack. The law is also pretty sad, under current law they are required to alert those whos accounts have been hacked..but there’s no penalty if they dont.